Property Division: Who gets the wine collection during a Washington divorce? Going through a divorce is rough enough. Then you get to the part where you have to split your assets. You probably know you’ll have to confront issues like who gets the house or who gets the car – but then you come to something you might not be prepared for and that matters deeply to you, like a wine collection you’ve spent hundreds or thousands of dollars passionately building over the years. 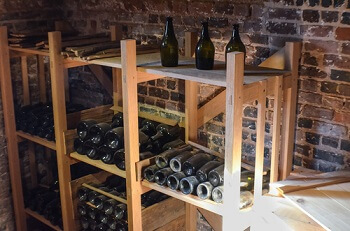 Some wine collections are so vast that their owners do not know how many bottles they own. Even if you know every single bottle in your collection, you probably do not know the exact dollar value for each. And even if you think you do, you might be surprised to learn that certain bottles are worth more (or less) than you thought. A 1787 Chateau Lafite owned by Thomas Jefferson sold in the 1980s for $160,000. Three bottles of 1869 Chateau Lafite sold for $230,000 each in 2010. An imperial bottle of 1947 Cheval Blanc sold at auction in 2010 for $304,375. Even if you don’t have bottles of quite that significance, get a professional appraisal to learn the value of your collection. It’s the best way to ensure you divide the collection fairly. You can get a good idea of the value of your collection by reviewing on an online database, such as the one from Wine Spectator, but this is not a substitute for a professional appraisal. There are simply too many variables when valuing wine. Below are some options to get a fair appraisal. What Are Our Options for Dividing the Wine Collection During the Divorce? Even with an appraisal, wine is frequently difficult to divide. You may have an emotional attachment to a particular vintage or you may have been saving a particular Sauvignon Blanc for a special occasion. How Can the Law Offices of Molly B. Kenny Help? If you are facing a divorce in Washington State, call me, Molly B. Kenny, to protect your assets. I can help with negotiations to reach a fair settlement and represent you in court if need be. Contact the Law Offices of Molly B. Kenny at 425-460-0550 to schedule an appointment so we can discuss your case and your assets (and their importance to you) and start building your case.